My installation, Arbor Vitae, has been selected for the NCECA 2017 Annual Exhibition, which will be on view in Portland, Oregon at the Disjecta Contemporary Art Centre from March 4 to April 1, 2017. A public reception will be held during the NCECA Conference (National Council on the Education for the Ceramic Arts) from 6:00 to 9:00 p.m. on Thursday, March 23, 2017. My work was chosen from 372 applicants submitting over 900 works from around the world. The curator, Gail M. Brown, narrowed her selection for the NCECA Annual down to thirty-one artworks by thirty artists, plus five invited artists, for the exhibition titled The Evocative Garden. With gratitude for the support of the Canada Council for the Arts, the Manitoba Arts Council, and the Winnipeg Arts Council. 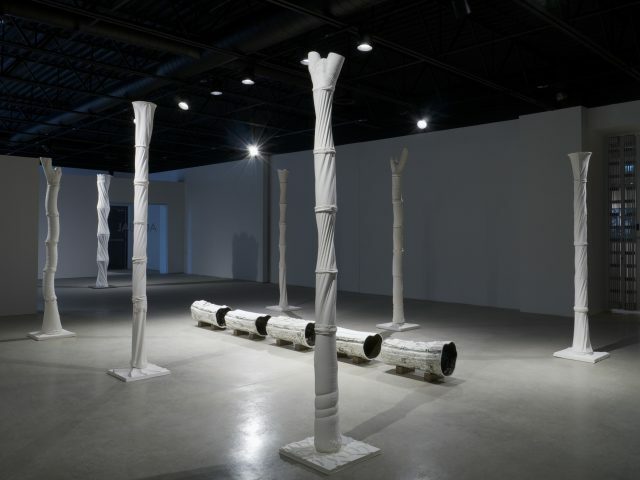 Grace Nickel 2015, Arbor Vitae, porcelain paper clay, oxide, glaze, metal armatures. 240 × 360 × 525 cm overall. 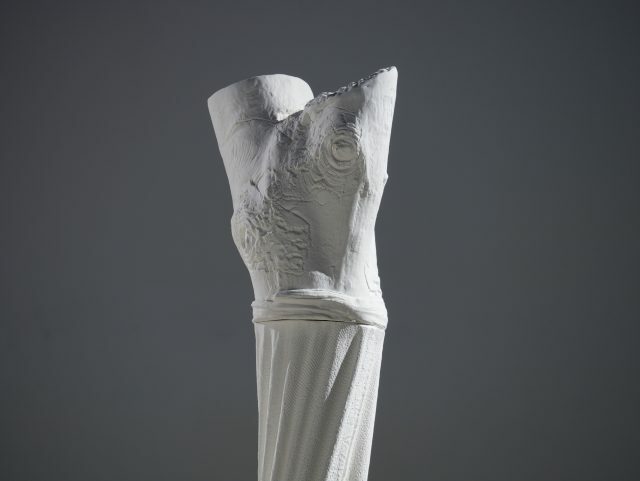 Grace Nickel 2015, crown from Arbor Vitae, porcelain paper clay. 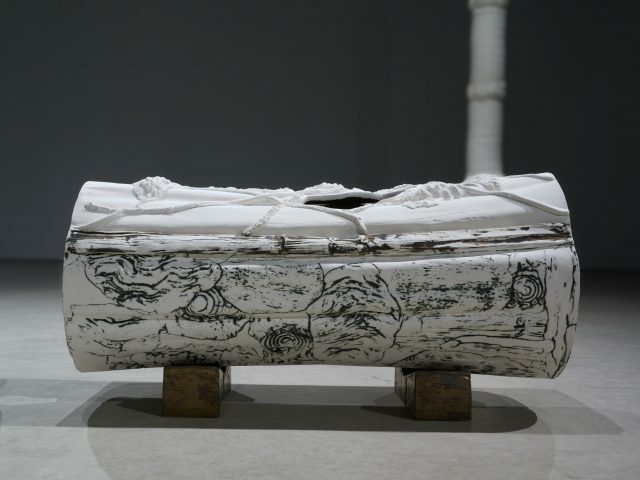 Grace Nickel 2015, Prone from Arbor Vitae, porcelain paper clay, oxide, glaze.